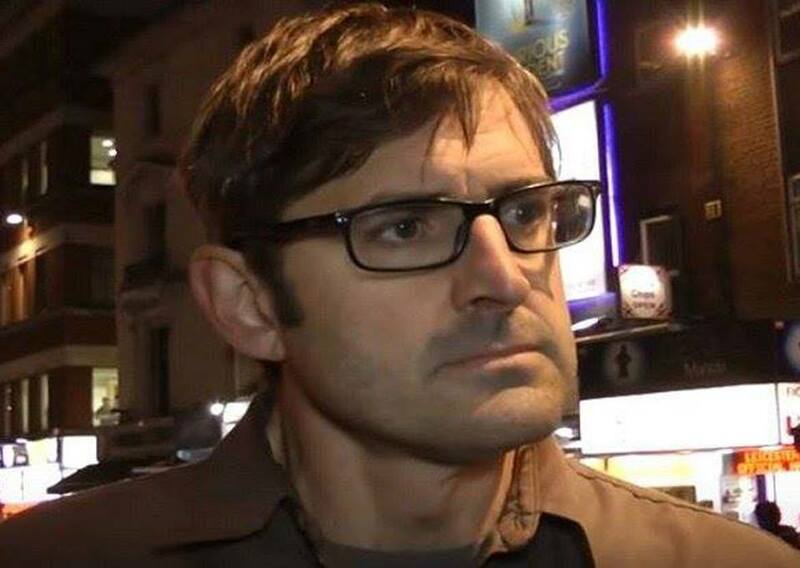 LOUIS Theroux’s feature-length MY SCIENTOLOGY MOVIE (John Dower 2015) serves as a window for the outside world to see into the violent reality of The Church of Scientology. Theroux provides a “behind the scenes” investigation into the accusations of psychological and physical abuse behind the Church’s heavily guarded walls. Due to the secrecy the alleged cult is famous for, the layout requires Theroux and his team to hire actors to play the parts of the Church’s arguably most prominent figures: celebrity member and actor Tom Cruise, and sinister chief David Miscavige. Inspired by the Church’s own religious filmmaking, this format allows the documentary to present the allegations reported against Miscavige by countless ex-members in a relatable and accessible way for the viewer. In doing so, it transcends all aspects of reality expressed in MY SCIENTOLOGY MOVIE; the reality Theroux and his crew are filming in, the reality of the events in question, and the new reality of the film he is creating with the actors. The Church of Scientology emerged from the works of pulp fiction author L Ron Hubbard, particularly the self-help book “Dianetics” which has since been used similarly to how The Bible is for The Church. Other than its foundations and its history, little is known about Scientology except for reports from ex-members of abuse from their leader, of which The Church aggressively denies and deems all defectors to be untrustworthy. In his investigation into what really happens inside the grand buildings The Church owns all over Los Angeles, Theroux joins forces with former senior executive Marty Rathburn. The two of them begin to recreate significant counselling exercises and practices used by The Church of Scientology, such as an auditing session whereby past traumas are relived. By recreating these exercises in such a way that is not approved by The Church itself – often referred to by Scientologists as "squirreling” – the reality presented to us becomes questionable, as they are likely different to how it would be done in Scientology sessions. This takes away from the authenticity that Theroux sought to achieve in the first place. MY SCIENTOLOGY MOVIE combines the real world with the reality of The Church in a non-fiction production to recreate important events from the history of The Church, as recounted by defectors such as Rathburn who were on the receiving end of Miscavige’s “righteous” fury. It is done in this way due to The Church’s refusal to allow Theroux and Dower into their buildings and so they must emulate previous incidents in order to further understand the reality of their noxious leader by creating their own version of events. Theroux and Dower break through the Church’s grand façade of threatening architecture and aggressive promotional videos to reveal the conspiracies and controversies that lie behind. During filming, the crew are put under surveillance by The Church; followed and filmed throughout their journey. The reality of Scientology becomes one of violence and madness, as Theroux uncovers the psychological warfare at The Church’s core.